If tomatoes are the star in summer, beets are a bold and intense showgirl. Together they are a showstopper! Fresh and easy, pretty enough for a party, this Roasted Beet and Tomato Salad is a Summer Showcase! 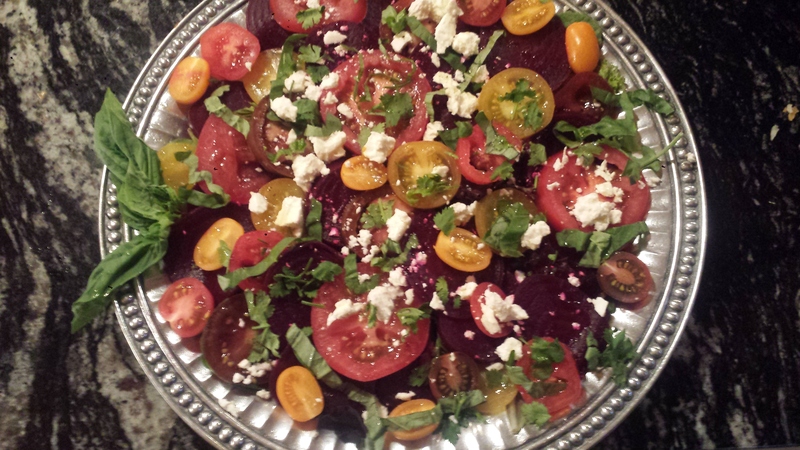 Sun-ripened tomatoes in reds and yellows paired with dark-ruby roasted beets, resting on a bed of mixed greens and topped with crumbled feta and fresh herbs is a pure delight. I love the simplicity of this five ingredient salad drizzled with a simple vinaigrette. Each flavor is strong enough to stand on it’s own, and tossed together they make a colorful and flavorful salad, good enough for company but tasty enough for family. 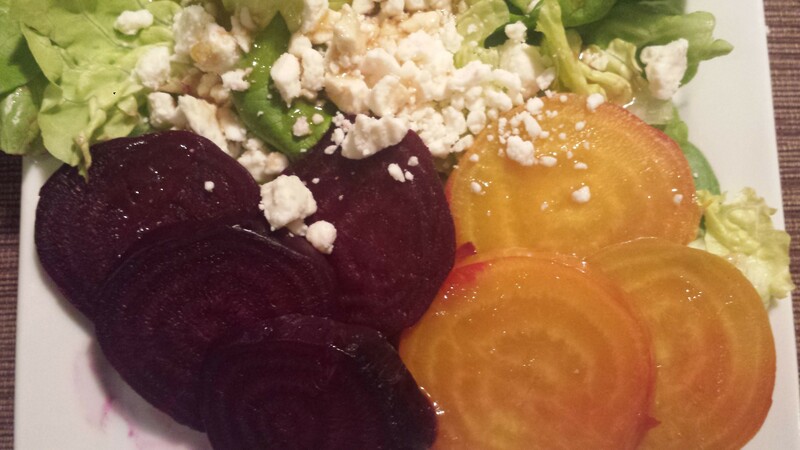 Roasted beets are not to be compared to the tasteless canned variety. Roasting them intensifies their flavor as none of the juice is lost in boiling water. Beets are very low in calories, contain no cholesterol and small amount of fat and they are loaded with fiber, vitamins, minerals, and anti-oxidants. All of that glorious color has to mean something! I feel like a word of caution is in order here. 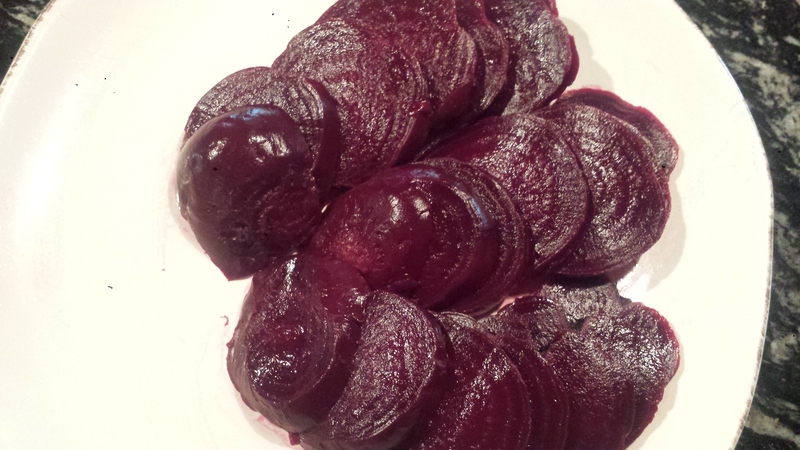 As I mentioned, dark beets have a vivid color and when roasted with olive oil, some of the escaped juices are quite vibrantly red, which I found out looks remarkably like blood when spilled. 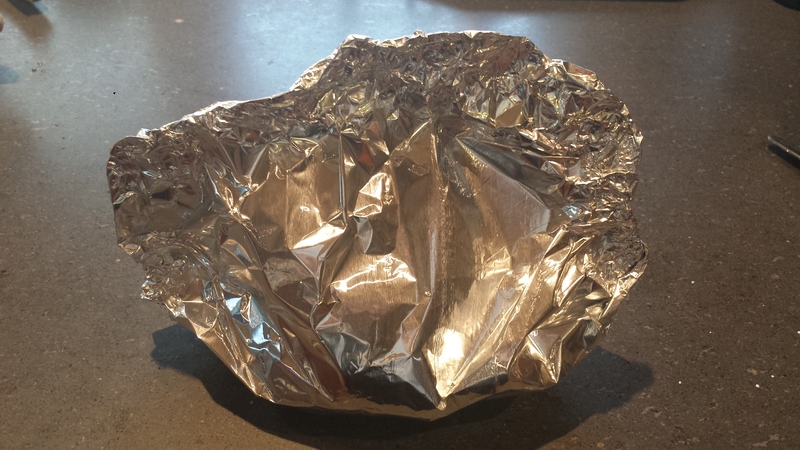 Yes, I tipped the foil and juices leaked out; on the counter, down the cabinet and on the floor. Even my bare feet looked like they were splattered in blood. It looked like someone cut off their arm in right in my kitchen. Note to self for next gory Halloween costume… Also, beet juice can stain wood cutting boards, so I recommend plastic washable cutting surfaces or a ceramic plate. 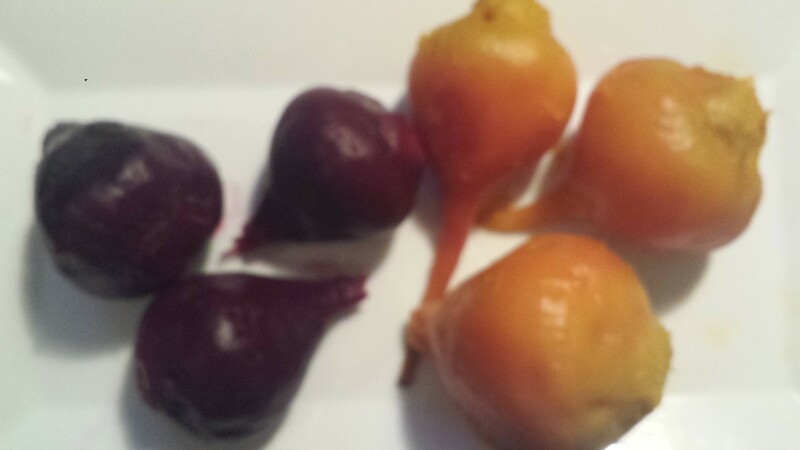 Otherwise, beets are lovely. 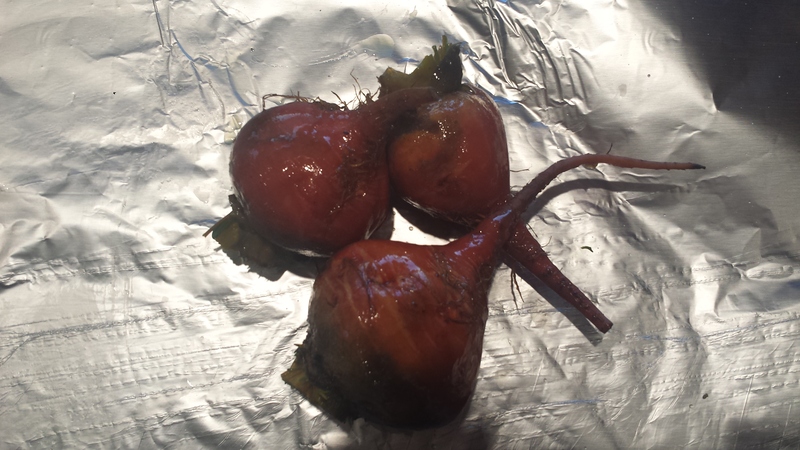 TIPS: If you were lucky enough to buy beets with the greens still attached, don’t cut them off and discard them. The greens are delicious raw, thinly sliced into salads or sauteed and stirred into pasta or prepared any way you would use chard, kale or any other dark leafy green. They have a slightly bitter taste that mellows with cooking and adds flavor and nutrients to your meal. 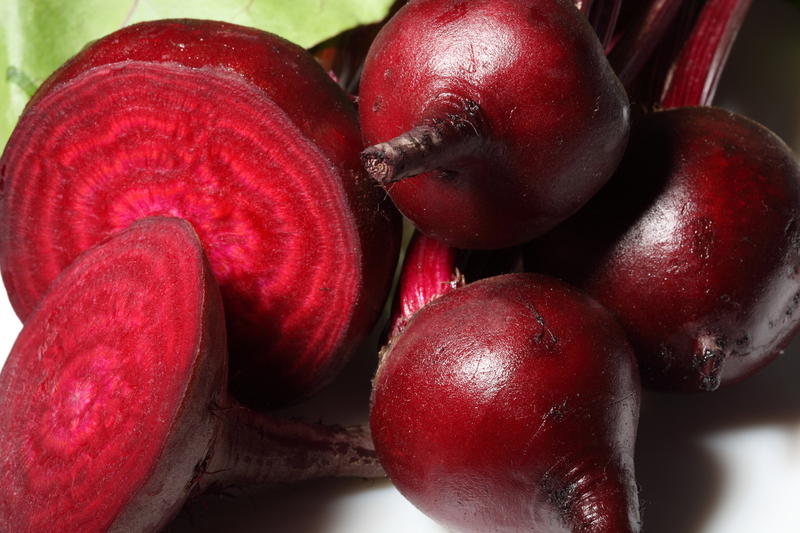 Beets can be roasted a day or two ahead of time and refrigerated until ready. Note that beet juice stains porous surfaces, like wood cutting boards. 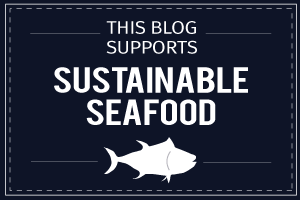 Use non-porous surfaces for preparation and slicing. Preheat oven to 400 degrees. 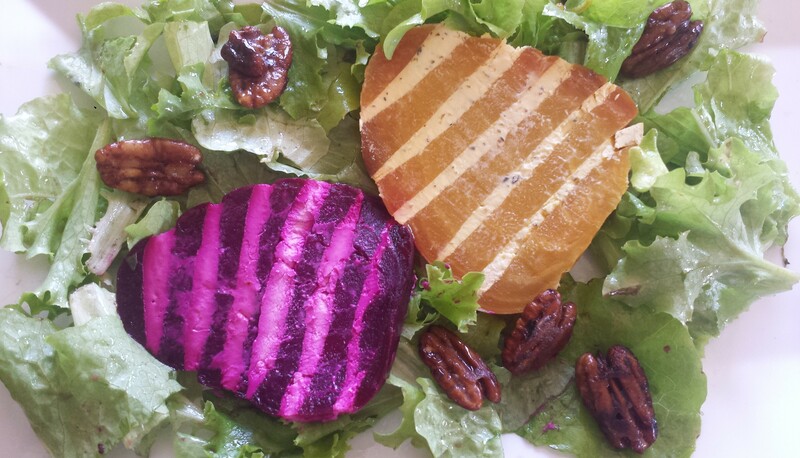 Cut away beet greens without cutting into the skin and place beets on a large piece of foil, separately or together. 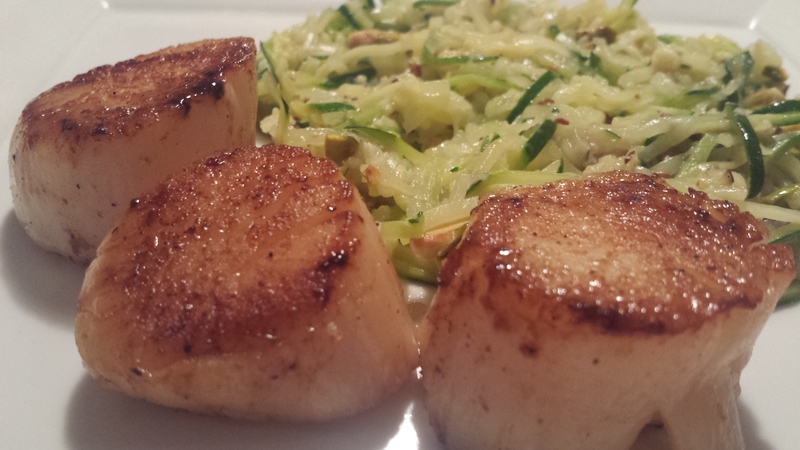 Drizzle with olive oil and tightly close foil packet. Roast on a rimmed baking sheet until tender, about 75 minutes. When cool, use a paper towel to remove skins. Slice into rounds on a plastic cutting board or plate. 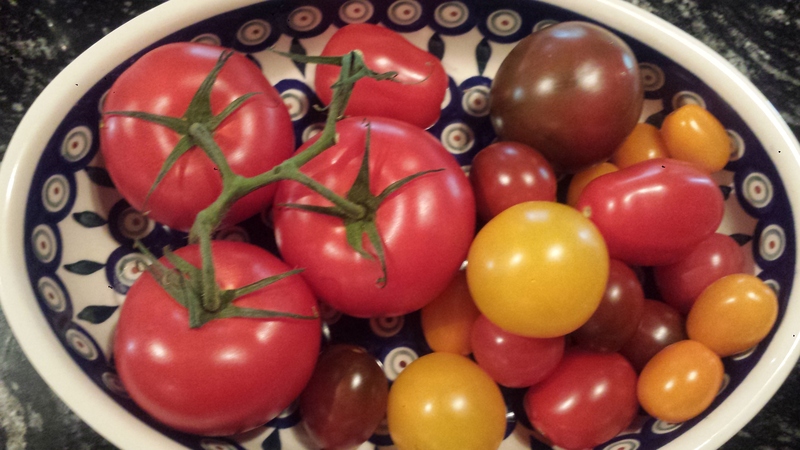 Slice large tomatoes into 1/4′ rounds, and halve cherry tomatoes. 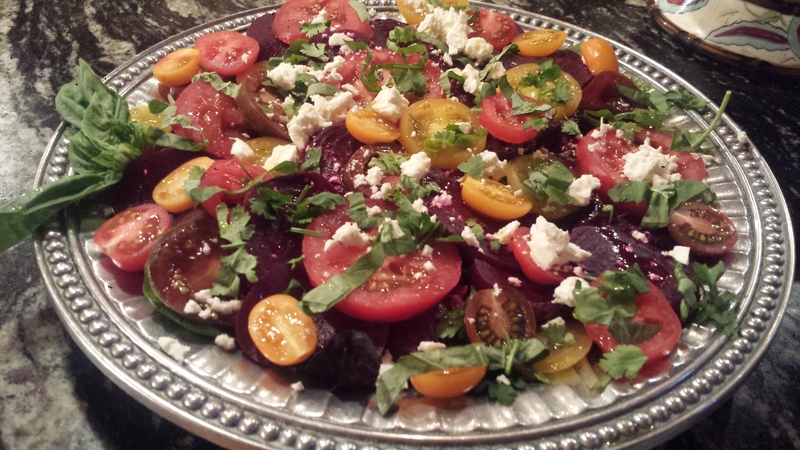 Place greens on the bottom of a serving platter and arrange the beets and tomatoes on top. Whisk together the olive oil and vinegar and season with salt and pepper. Top tomatoes with feta, cilantro, basil and drizzle with dressing. Serve with more herbs and feta on the side. Preheat oven to 400 degrees. Cut away beet greens without cutting into the skin and place beets on a large piece of foil. Drizzle with olive oil and tightly close foil packet. Roast on a rimmed baking sheet until tender, about 75 minutes. 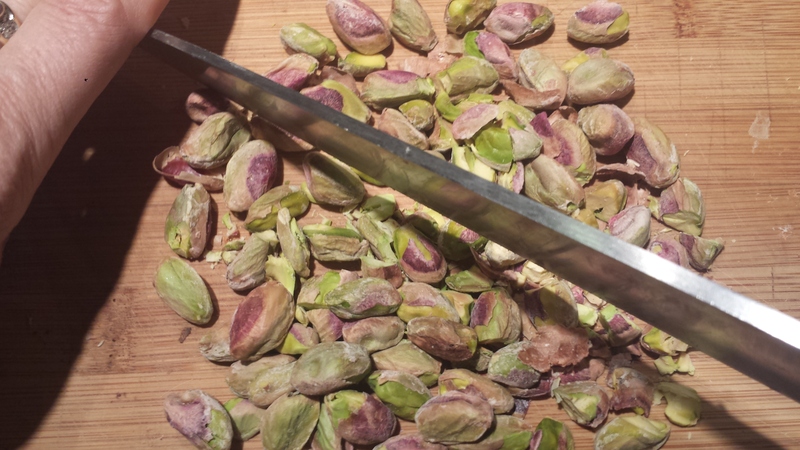 When cool, use a paper towel to remove skins and slice into rounds on a plastic cutting board or plate. 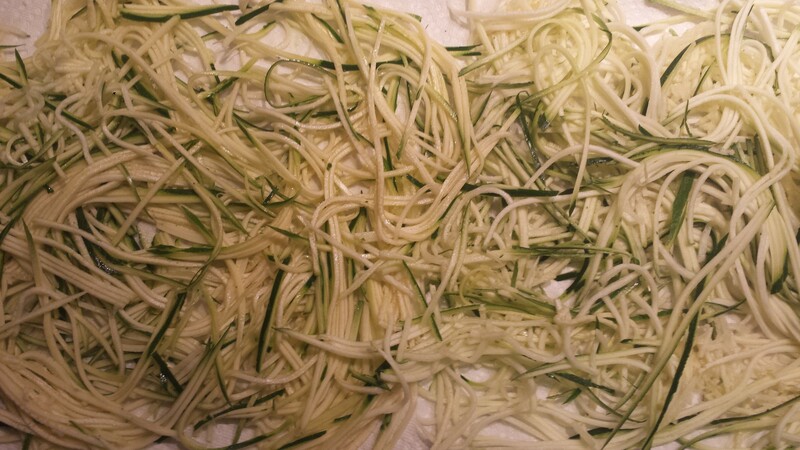 Whisk together the olive oil and vinegar and season with salt and pepper. Top with feta, cilantro, basil and drizzle with dressing. Serve with more fresh herbs and feta on the side.